How to Convert iTunes M4P to MP3 for Walkman on Mac? The music tracks you purchased and downloaded from iTunes Store are in an M4P format. If you want to play them on your Walkman device, you will need to get some software to convert iTunes music first.. TuneClone Audio Converter for Mac is the iTunes music conversion software that can help you convert iTunes M4P to MP3, M4A to MP3, AAC to MP3 on Apple Mac OS X for listening to Walkman. Step 1. 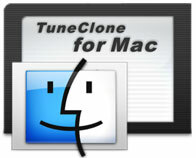 Download TuneClone Audio Converter for Mac from http://www.tuneclone.com and run it. 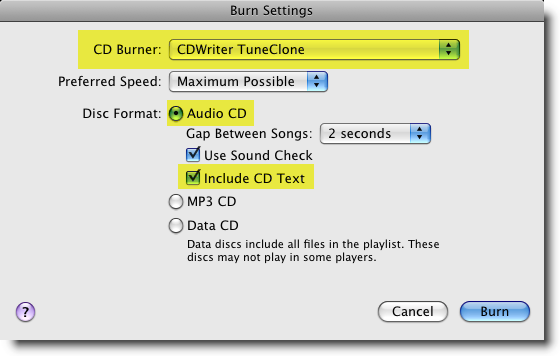 Right click the playlist you just created and choose "Burn Playlist to Disc". Or you can click the "Burn Disc" button at the bottom right corner of iTunes interface.